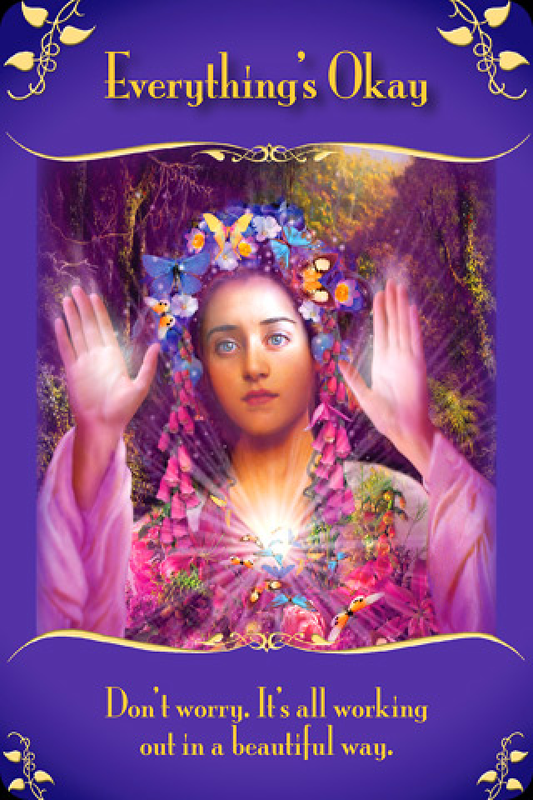 April 14, 2014 bcalvanocoachingLeave a Comment on Weekly Angel Oracle Card Reading for April 14 through 20. 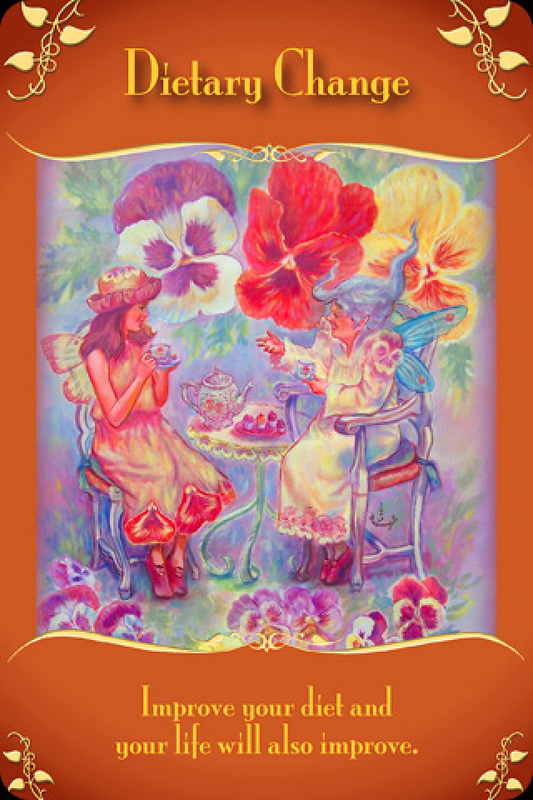 Weekly Angel Oracle Card Reading for April 14 through 20. 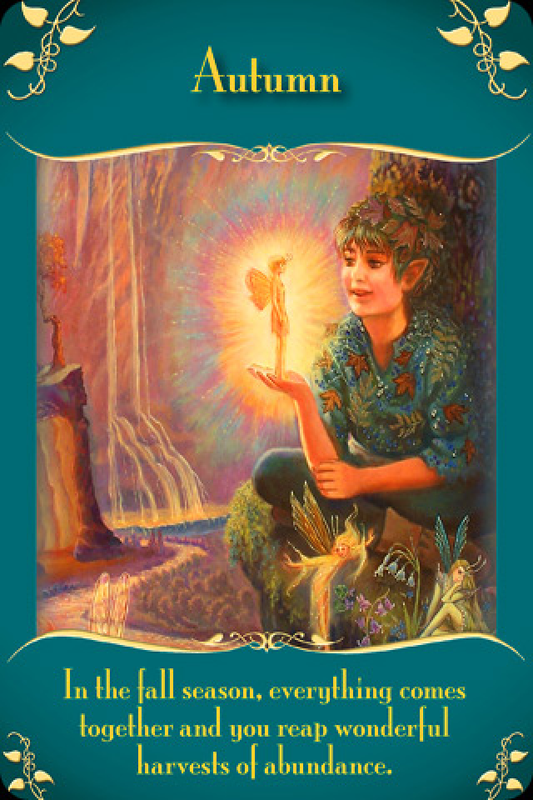 This week I am guided to use the Magical Messages from the Fairies Oracle Cards by Doreen Virtue. Join me this Saturday at 4pm EST on BlogTalk Radio http://www.blogtalkradio.com/letsasktheangels . Here I will share the upcoming weekly oracle card reading and take listen calls fro mini readings! Call in at 424-675-6837. Replays available at Itunes and BTR downloads. For Monday and Tuesday we have the message, “Everything’s Okay. Don’t worry. It’s all working out in a beautiful way.” Here the fairies are letting us know that the situation that we have been concerned will be fine. In fact it will turn out great! So what we can do to support this outcome is release any unnecessary worries and concerns and also do things that uplift and nurture us. By also taking walks in nature, doing activities that bring us joy, getting enough rest and by eating healthfully we help manifest the positive results we desire. We can even ceremoniously unburden our worries and concerns by writing them all on a piece of paper and either burn it safely or even bury it. The main goal is to stay focused and centered daily with faith and to empower the outcome to occur. For Wednesday and Thursday we have the message, “Autumn: In the fall season everything comes together and you reap wonderful harvests of abundance.” If you have a question regarding ‘when’ might a situation occur the Autumn is the answer. Whether it is the completion of a project, a relationship dream or health goal, going back to school or moving – this is the time it will happen. It’s imperative to continue to pray, affirm and take daily guided actions towards your project without hesitation or delay. By maintaining a focused outlook you will greatly assist in your desired manifestation. The fairies and angels have been giving us messages about changing the quality of our diet. Some may not have trusted this as a message and yet here it is as a reminder that indeed by making healthy changes we greatly impact the other areas of our life. By doing so you also fulfill on your life purpose and increase your own intuition or clairvoyance. As you improve your diet you heal other areas of your life. For some it may be eliminating alcohol, caffeine and or drugs . For some it may be to consult a nutritionist or go on a cleanse. We all also need to take notice of our use of harsh chemicals in our household and find healthier eco-friendly alternatives. Our metabolism is extremely sensitive and by honoring these changes we can greatly improve our ability to manifest in all areas of our lives. This week with the Full moon and eclipse ocurring at the same time we have intense heightened energy. This reaches a high point this week but also continues through the rest of April. In May it subsides to a more comfortable vibration. The main focus is on honoring our physical bodies with nurturing healthy habits and also trusting that everything will work out. We are given an Autumn notice of when to expect an outcome of a situation we are presently dealing with. We are reminded to keep being positive, affirm, pray and take guided actions daily without hesitation or delay in order to create abundance in any area of your life. We are reminded again go practice giving your worries and concerns over to the angels and have unwavering focus on a clear vision of your goals. July 27 Sunday at the Psychic Fair NYC Pennsylvannia Hotel 10am to 5pm giving 15 & 30 minute readings http://www.awakenfair.com.